When I received the wedding invitation for my girlfriend’s wedding in Playa del Rey, Mexico this spring, my heart skipped a beat. I was well overdue for a beach vacation,and desperately need an escape from the cold Chicago winter. 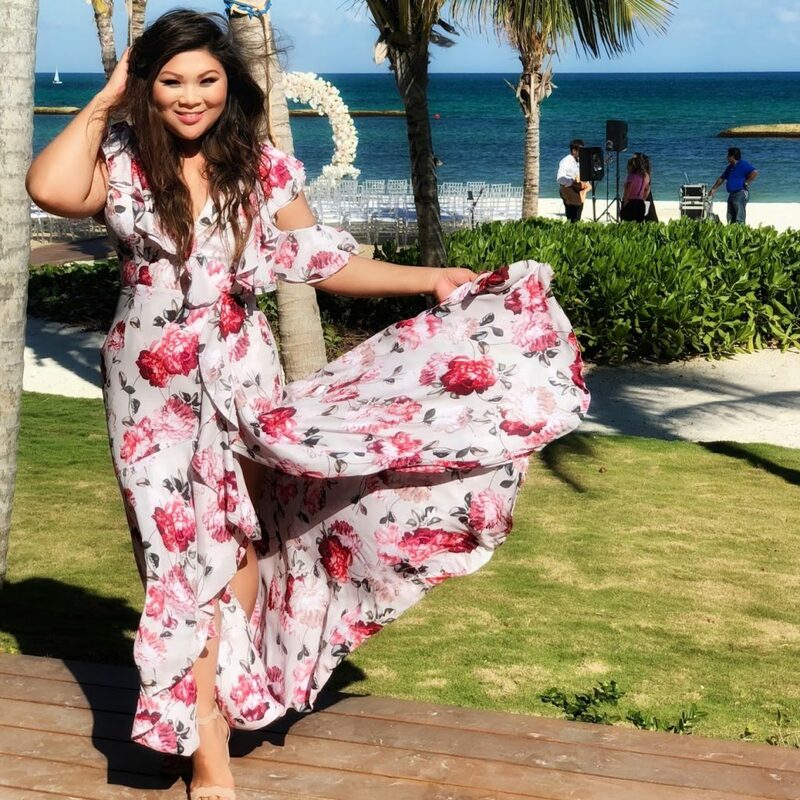 When I discovered that she was tying the knot at the stunning Andaz Mayakoba Resort, I cleared my schedule, packed my bags and made sure that my beauty bestie and big sis, Maxine (of Vanity Girl Hollywood), was right there by my side! 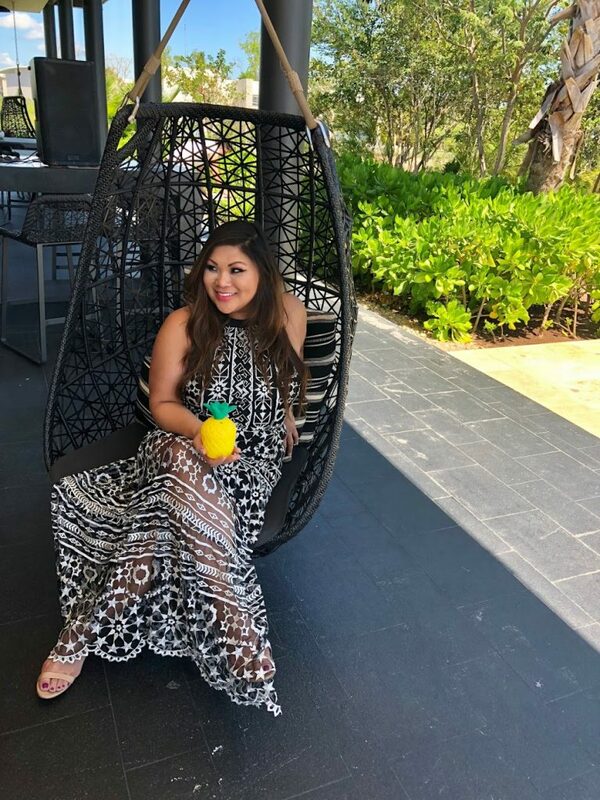 The gorgeous beachside property made for the most incredible girlfriend’s getaway, and I had to share every detail with you guys! The hotel offers fun activities and excursions around the clock, which is music to my multi-tasking ears. 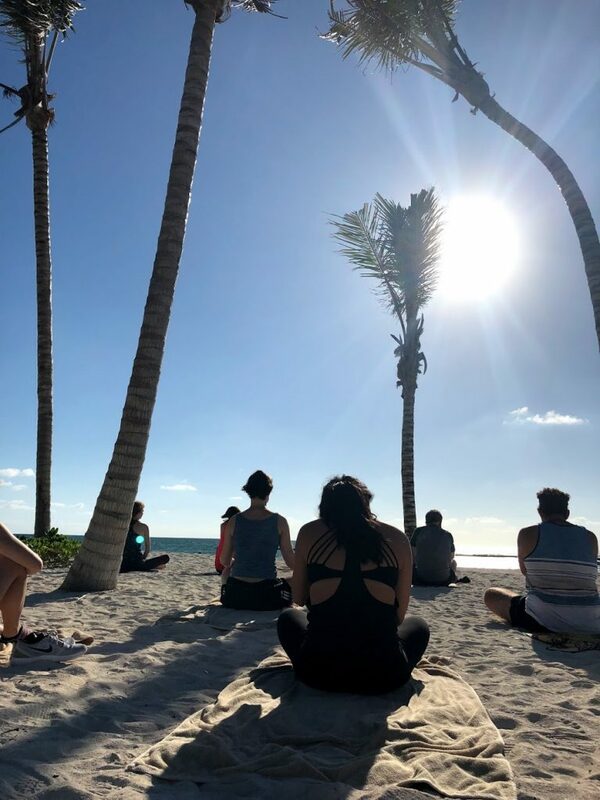 I am inherently a “go, go, go” kind of gal, so seeing a jam-packed schedule of classes (beach yoga, mixology, kayaking and more) at my disposal, is a big win in my book! 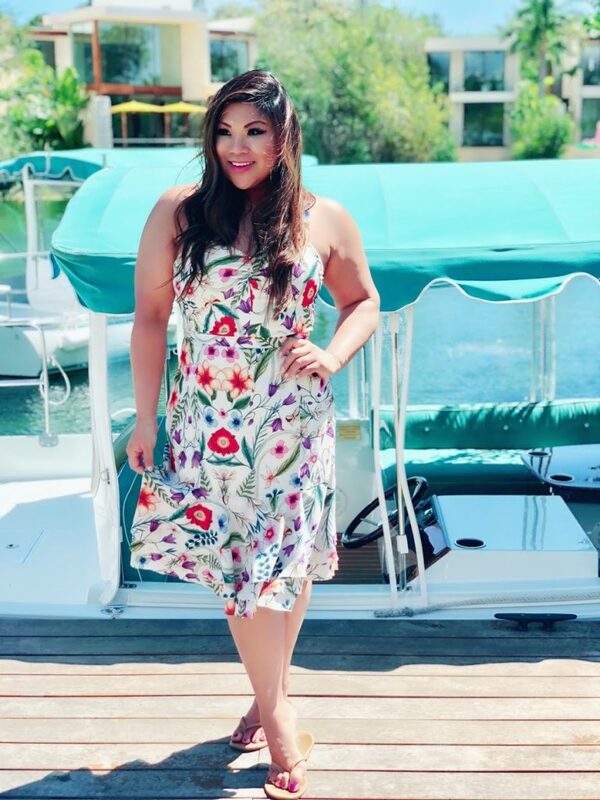 Of course, I made time for poolside lounging and beachside frolicking with Maxine, but I also woke up early for a morning yoga session and enjoyed the eco boat tour, as well. 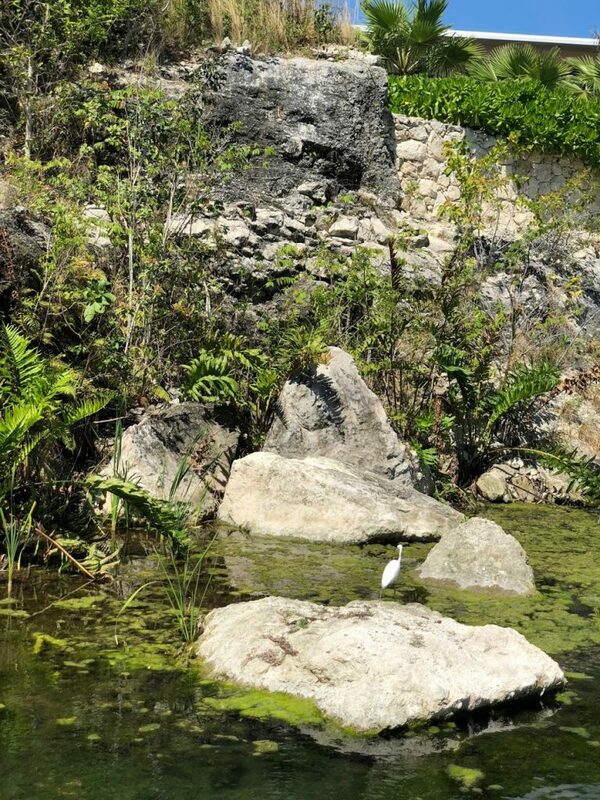 The captain of the boat tour was so knowledgable of the various creatures and birds surrounding the property, and steered our boat masterfully around the lagoon. Another charming aspect of the Andaz? The bikes! You can hop on a bike and zoom all over the picturesque property, which is relaxing and invigorating, in and of itself. 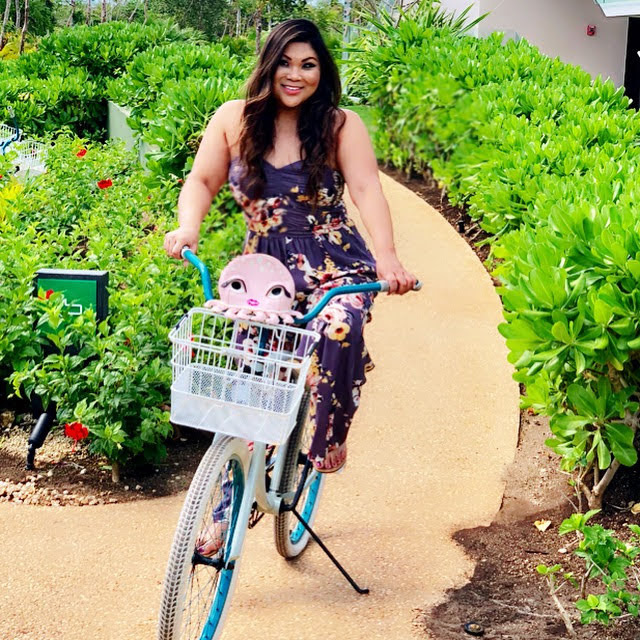 I opted for the golf cart rides during the majority of my stay, but I thought the bicycle option was so adorable. Of course, no girlfriends getaway is complete without some spa time! 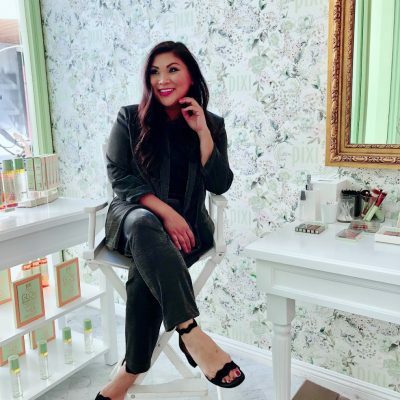 Since Maxine and I are both workaholics in the beauty industry, a few hours at the spa was exactly what we needed. 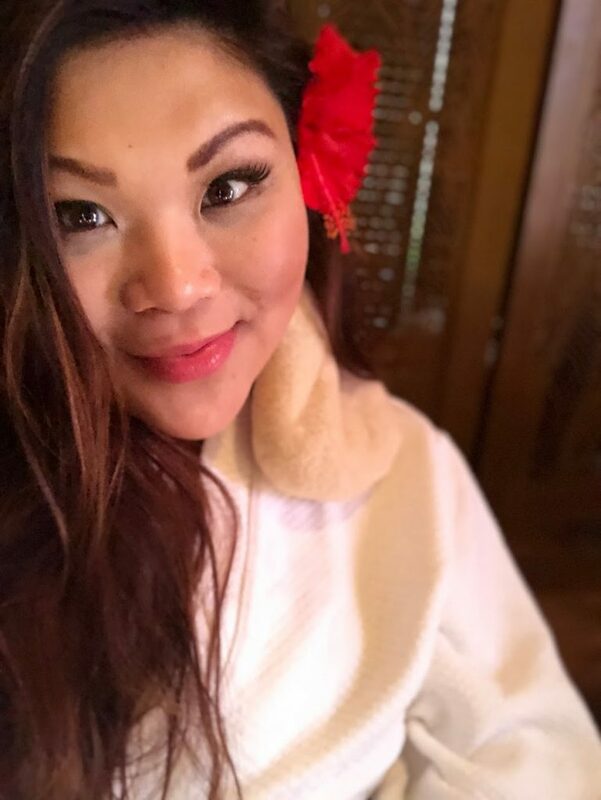 The attendants and masseuse couldn’t have been sweeter, offering impeccable service from the moment we arrived til the second we stepped out of the spa. 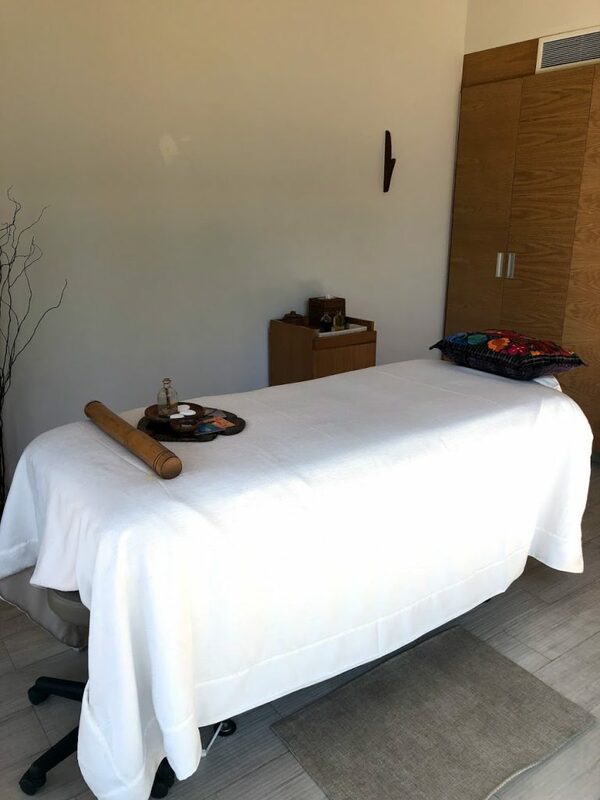 After relaxing in the hydrotherapy hot tub, steam room and sauna, we were whisked away to a private room with the most lush surroundings to enjoy our 60-minute massages. I was completely blissed out and have to say that every kink, knot and tight spot was magically worked out thanks to my fabulous masseuse. Finally still with my thoughts and in an utter state of nirvana, I was then treated to some refreshing amenities in the courtyard. Never have I ever felt so relaxed. 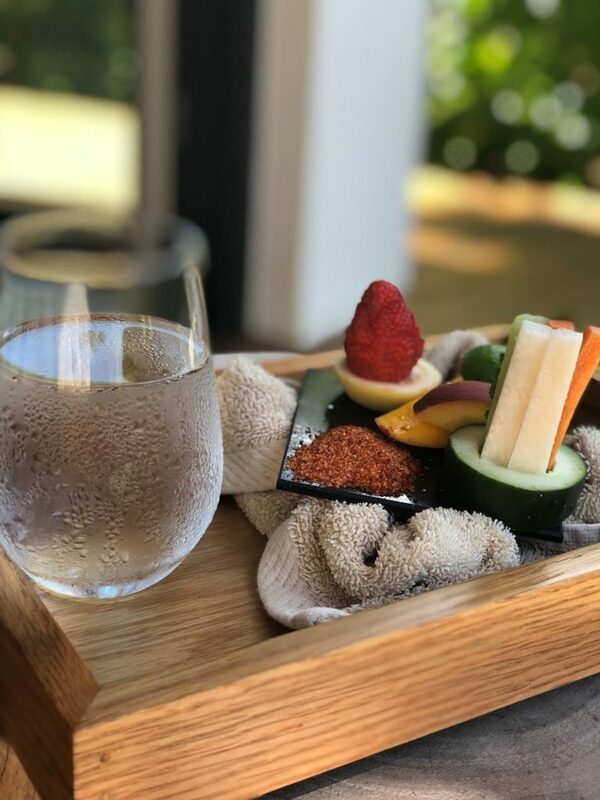 With all of the activities and running around the resort, I definitely found my appetite at the Andaz Mayakoba! The food was phenomenal and SO fresh. 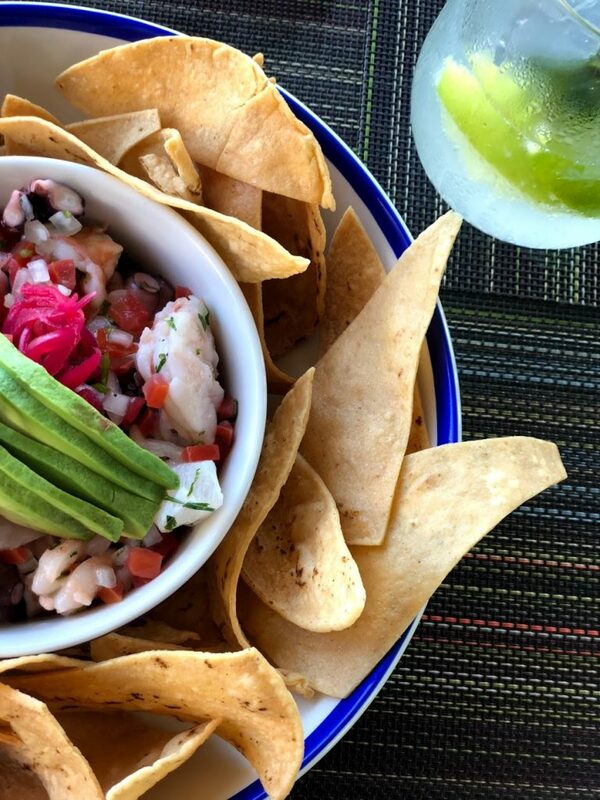 I ate seafood at every meal, and am still dreaming about the ceviche at Cocina Milagro! 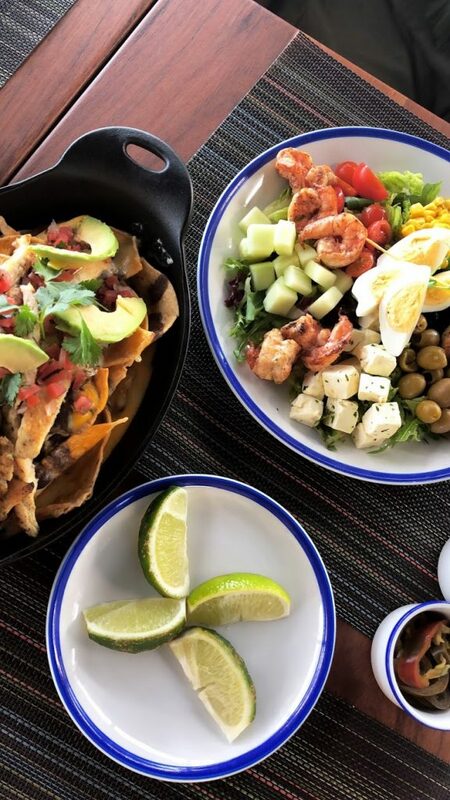 Over the course of four days, we indulged in fresh guacamole and chips, of course, as well as aguachiles, fajitas, grilled seafood and a tasty Cobb salad that hit the spot after some fun in the sun. We loved every bite and found each dining experience at the property delicious and delightful in its own unique way. 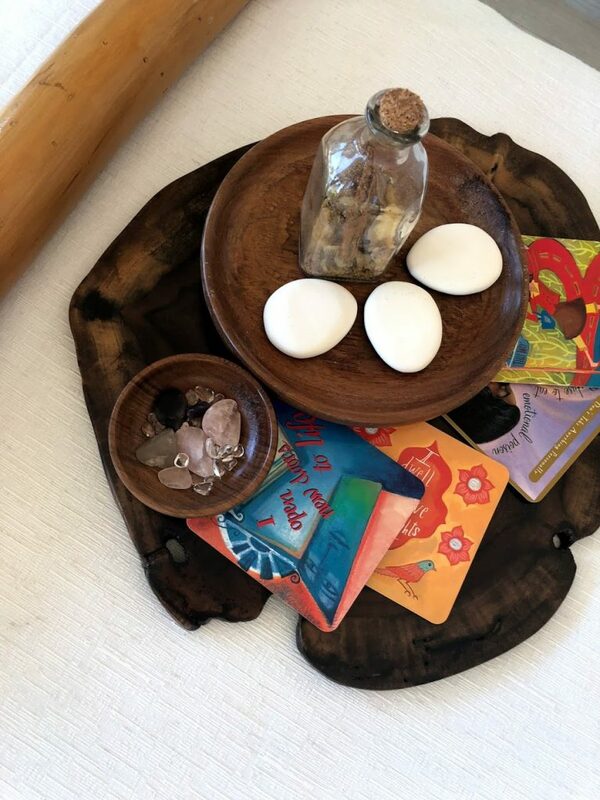 The vibe at the Andaz Mayakoba is magical at every turn. Naturally, the hotel is undeniably beautiful with the most fantastic views, but I loved all of the small details, too. 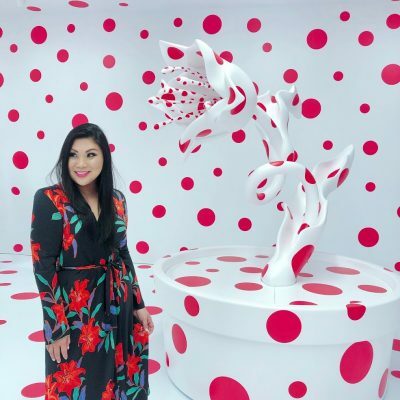 The staff proved to be SO nice and helpful, we couldn’t stop commenting about the level of hospitality and professionalism we received from every employee we encountered. There was no end to their friendliness and warm welcome, it made us feel right at home. 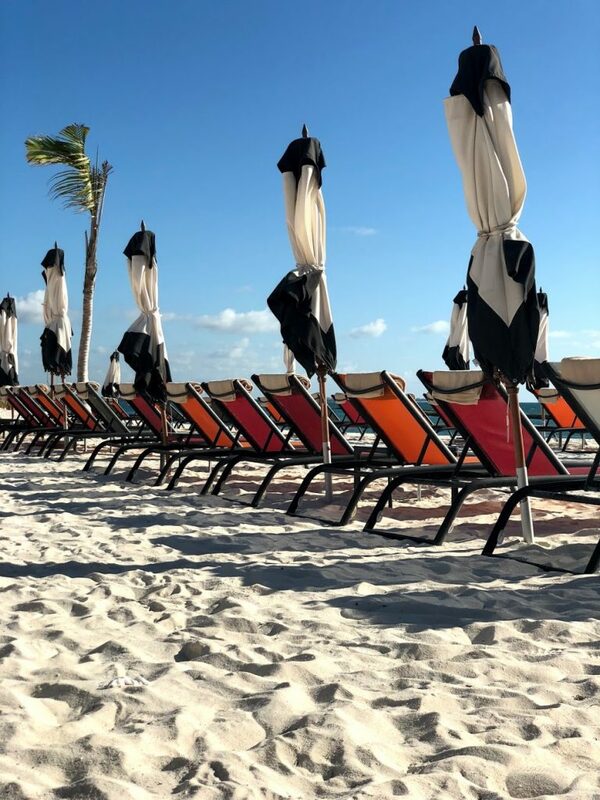 Of course, it goes without saying that the beach was impossibly perfect, complete with lounge chairs, towels and umbrella stands to make it as accommodating as possible. I thoroughly enjoyed some alone time on the beach, splashing in the ocean, people watching and gazing into the ocean. The early March weather couldn’t have been more perfect, and there were times where it felt like we had the pockets of the property all to ourselves. Maxine and I lounged in both pools for hours and it was pure paradise. 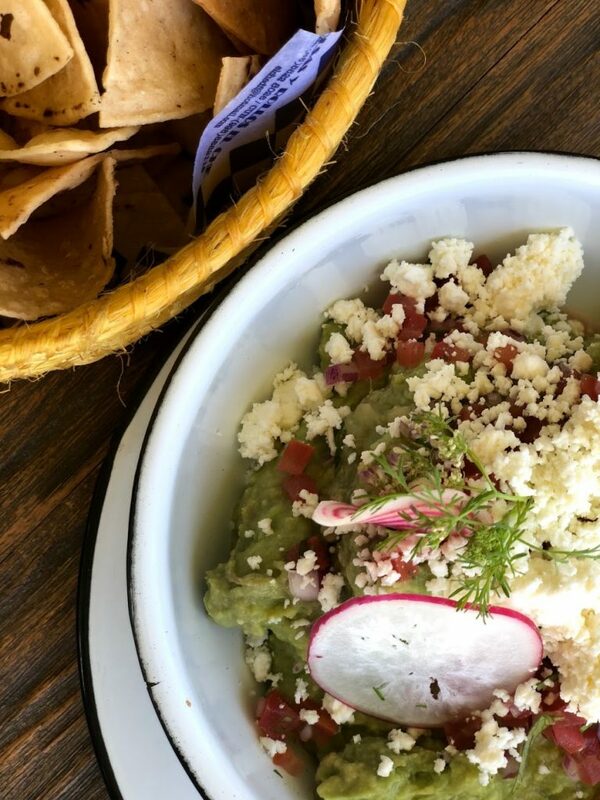 The pool below is overlooking the beach, making it slightly more crowded and mere steps away from two enticing eateries: Ollo Taco and Ollo Ceviche. 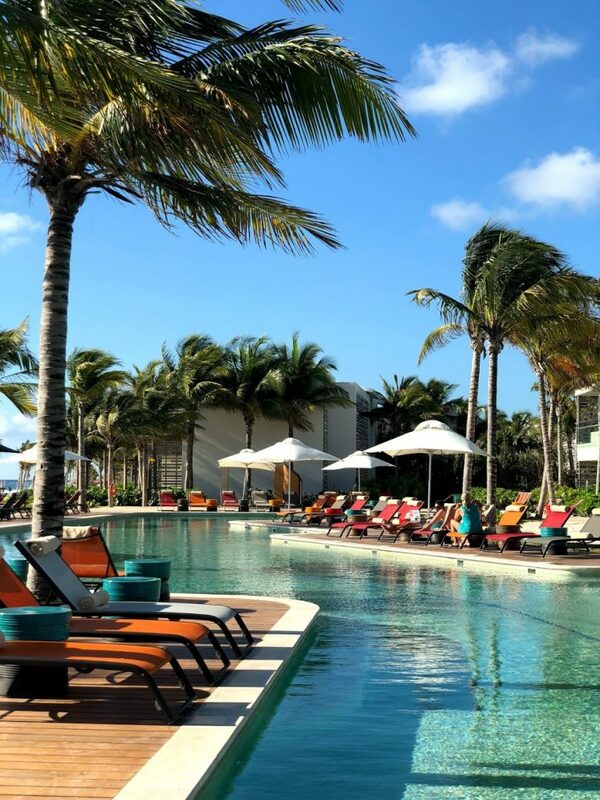 The quieter pool near Cocina Milagro was actually our favorite pool. 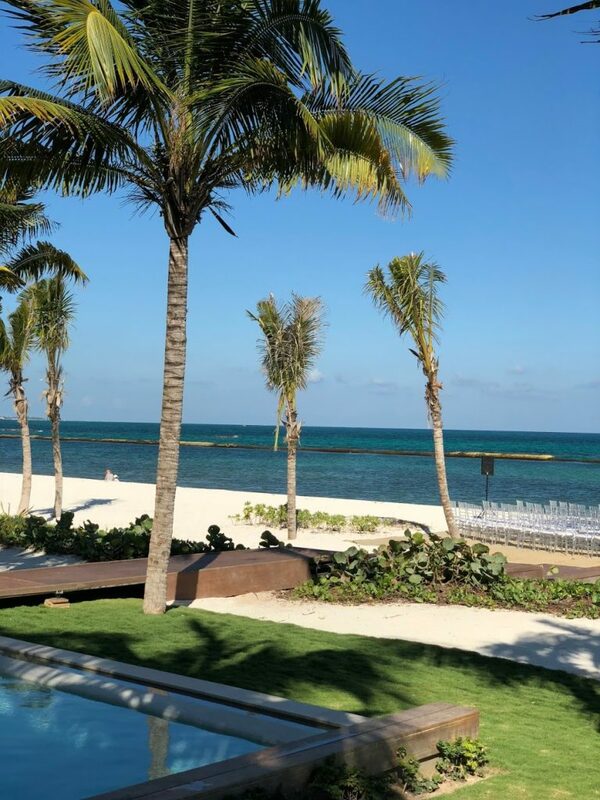 Once we stumbled upon it, we proceeded to laugh and splash among the palm trees while sipping our strawberry daiquiris, positively pinching ourselves that this was our reality for at least a short moment in time. When I reflect back on all of the incredible moments of the trip, that memory sticks out the most and will forever bring a smile to my face. 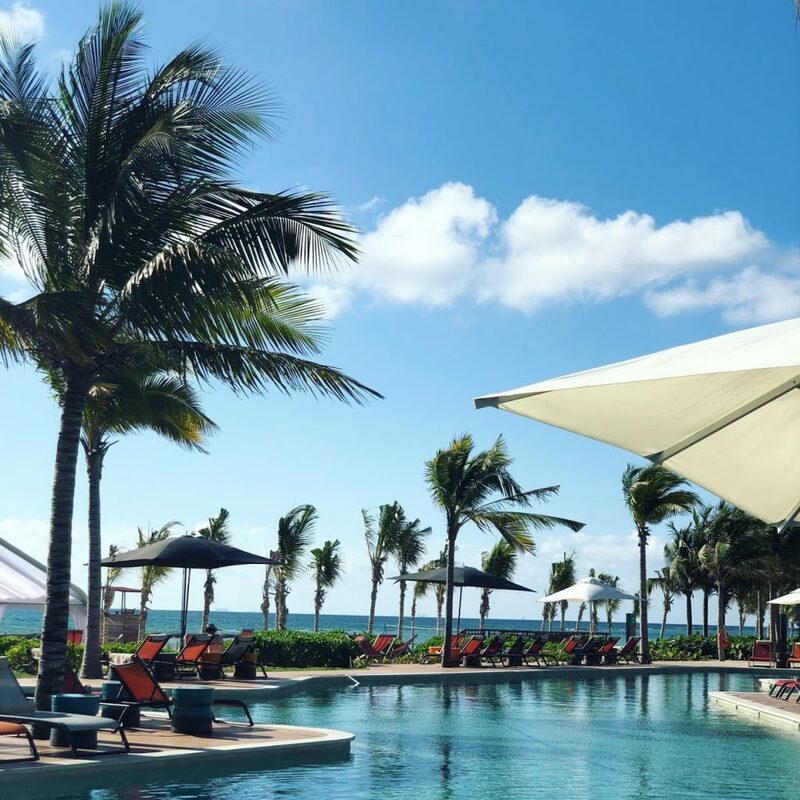 If you’re looking to book the most enchanting beach vacation ever, head to Andaz Mayakoba. It is positively perfect in every way.